“Live or Die. Make Your Choice.” A Look Back at the ‘Saw’ Franchise! The Following Contains Spoilers for Saw! Be Warned! “How much blood would you shed to stay alive?” Love it or hate it, no one can deny the impact that the Saw franchise made on the horror industry. James Wan and Leigh Whannell crafted a unique horror film by introducing us to a clever antagonist, horrific traps and the idea of what someone will do when faced with death. Will they appreciate their lives and fight to live, or will they simply succumb to their trap and die? Saw was released in theaters on October 29, 2004 and saw major success in the box office despite a mixed reaction from critics. The subsequent six sequels were released every Halloween and continued to be a commercial success grossing over $873 Million; thus, making it one of the highest grossing horror franchises of all time. Since Jigsaw is just around the corner, let’s go to where it all began and explore the very first Saw. James Wan and Leigh Whannell had just completed film school and wanted to shoot a film in a single room for budgetary reasons. The idea was pitched by Wan to Whannell and eventually the story expanded. Whannell was working at a job when he started to develop migraines and became convinced that it was a brain tumor. He visited his doctor and upon waiting for the results of his MRI he thought, “What if you were given the news that you had a tumor and you were going to die soon? How would you react to that?” It was here that the Jigsaw character was born. A short film was made and was simply titled Saw 0.5 and was screened at Sundance Film Festival in January 2004 and received positive reception. It was thought to be released straight-to-DVD but due to the success of the short film, it would eventually be made into a full feature. Evolution Entertainment was the production company for the first film which led to the creation of Twisted Pictures — that company went on to the produce the remaining sequels. 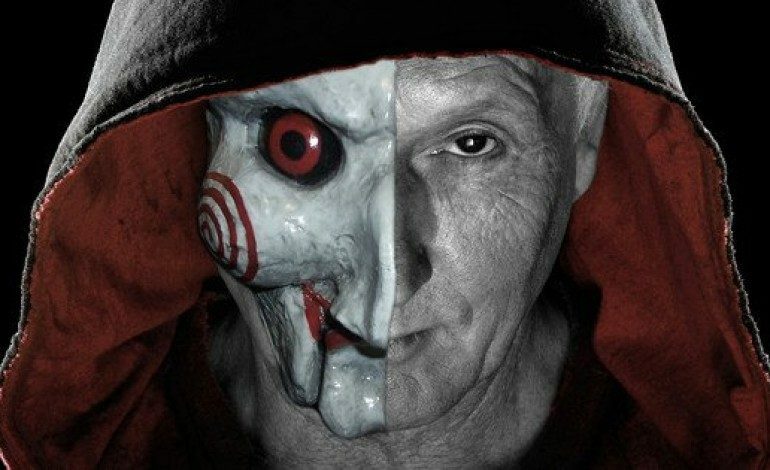 The Saw franchise has seen its share of some well-known actors including Danny Glover (Lethal Weapon), Cary Elwes (Twister), Shawnee Smith (The Blob), Donnie Wahlberg (HBO’s Band of Brothers) and of course Jigsaw himself played perfectly by Tobin Bell (The Firm). Tobin Bell is the true highlight of the franchise as John Kramer, The Jigsaw Killer, as dubbed in the papers. A man who has suffered a great deal of pain in his life decides to test others on whether they will appreciate their lives when faced with death. His monologues and taped recorded messages are the most memorable moments throughout the series and my favorite scenes to watch. He isn’t some crazy psychopath who murders without remorse, he’s a psychopath who has a message for his victims and wants to teach them a lesson on how precious life really is. He’s restrained, true to his word and one hell of a diabolical villain with an iconic voice! What I enjoyed the most out of this franchise was the uniqueness of the traps and the moments of conversation between Jigsaw and his “players”. While the first film played more on psychological tension, the sequels instead showed us more graphic violence and torture, something that was a little off-putting to me and many other viewers. Whannell has stated that David Fincher’s Se7en did inspire Saw. While most detective/murder mystery films follow the police who search for the killer, Saw told its story from the perspective of Jigsaw’s victims. We have Amanda (Shawnee Smith) who has a device clamped to her jaw and Dr. Gordon (Cary Elwes) whose foot is shackled to the wall. The idea of John Doe from Se7en punishing those who sin and testing them in ways that are cruel is similar to Jigsaw. The only difference is that Jigsaw doesn’t intend to murder his victims, they have a choice to either live or die, albeit in a violent and agonizing way. The Saw franchise has been directed by James Wan, Darren Lynn Bousman, David Hackl, Kevin Greutert and finally the Spierig Brothers with Jigsaw. Charlie Clouser has composed the soundtrack for every film and returns for the eighth installment which includes the iconic theme “Hello Zepp”. The big question is Will Jigsaw push the franchise towards the $1 Billion mark? As a horror film, Saw has its moments. While the films won’t terrify you with jump scares, they instead focus on the terrifying idea of waking up somewhere with no recollection of what’s happened to you and being in a scenario that could result in your death. In terms of the traps, my favorites are Paul from Saw along with Cecil and the spike trap, both featured in Saw IV. Again, the violence and blood is not something I enjoy watching, it’s the moments that are clever with traps, plus the words from Jigsaw himself, that make the films more memorable. Besides the films, Saw has expanded into two video games that are quite puzzling but are fun to play, a comic-book that served as a prequel to the first film as a promotion for Saw II, and numerous Saw-themed attractions. There was also a Saw cruise where passengers could meet the cast and crew shortly after Saw 3D was released. One more thing to note is the creation of Billy, Jigsaw’s puppet who serves to communicate to the subjects of tests regarding the details of their trap in order to survive. The puppet was designed by James Wan using only clay, papier-mâché and black ping pong balls with the irises painted red. He was altered during the course of the films and is seen as the mascot to the franchise. So, grab your cassette tape, sharpen your saws and get ready to play another game. “If it’s Halloween, It Must be Saw.” The game returns after seven years — Jigsaw is coming to theaters this weekend!